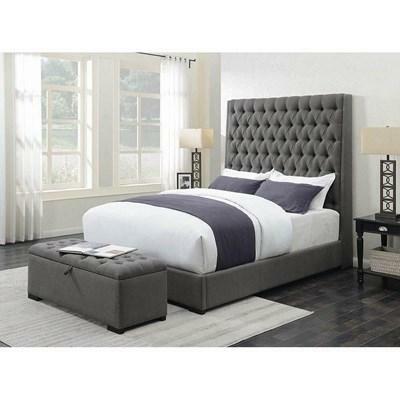 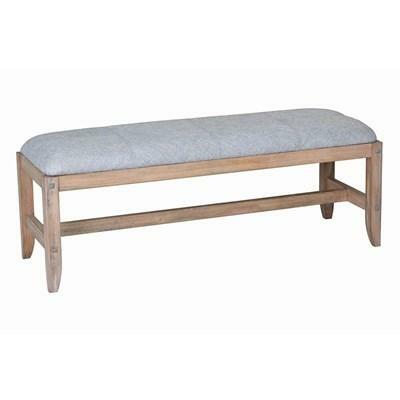 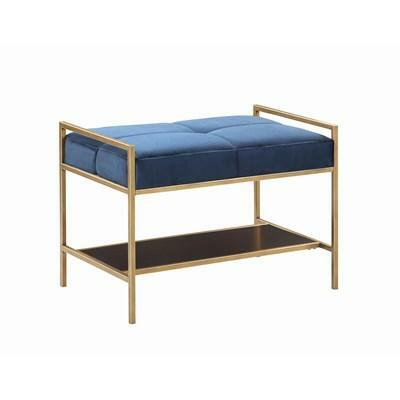 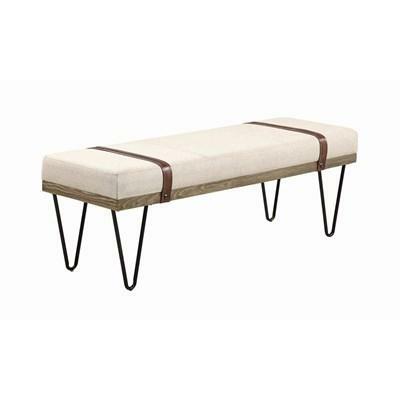 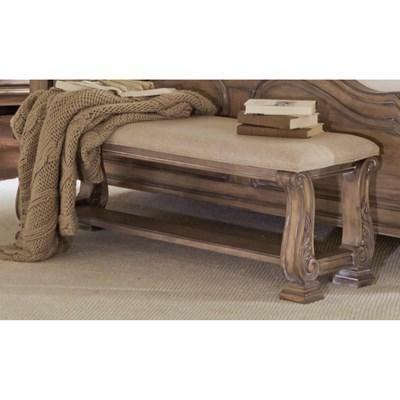 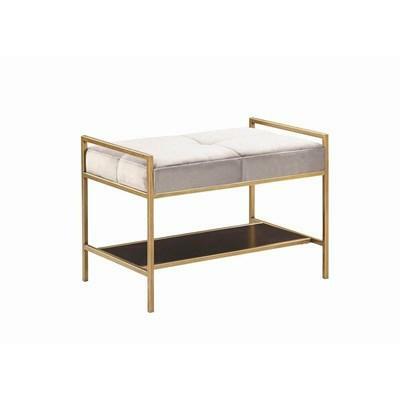 This Bench features an upholstered padded seat cushion with stitching and welting details. 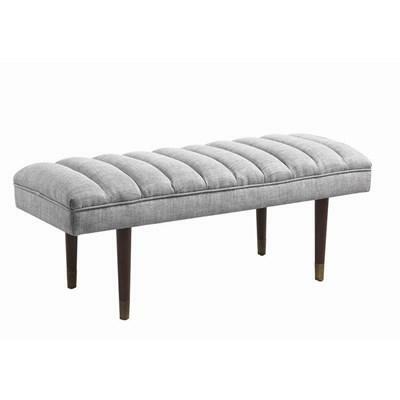 It stands on wooden round tapered legs with metal caps. 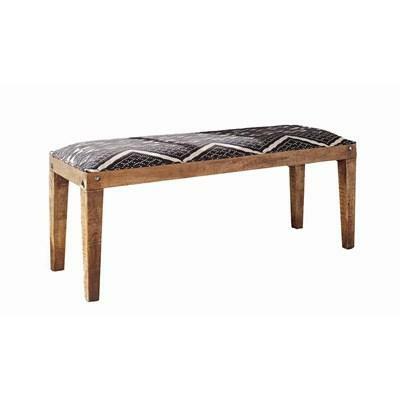 This fun Bench is beautifully upholstered in patterned fabric and stands on a solid mango base and tapered legs in natural mango finish.